This isn’t merely Facebook being charitable with their server space. A couple months ago, Facebook launched Instant Articles. In case you don’t know what these are, they’re articles from top publishers including BuzzFeed, The New York Times, and The Atlantic, that are republished Facebook’s servers, so they don’t have to load from the publisher’s website. Facebook built this product because loading mobile webpages is a sluggish and awful process. Instant Articles provide a more seamless content consumption experience on Facebook’s mobile app. The content loads instantly (get it?) with a rich user experience including embedded high quality images and videos. These articles apparently load 10x faster and are more likely to be shared (this could just be a launch-time phenomenon). It’s a win for Facebook because it keeps users engaged, which prevents them from leaving the app, making them likely to view more ads. However, it is unclear whether this program will be a win for publishers. This isn’t merely Facebook being charitable with their server space. 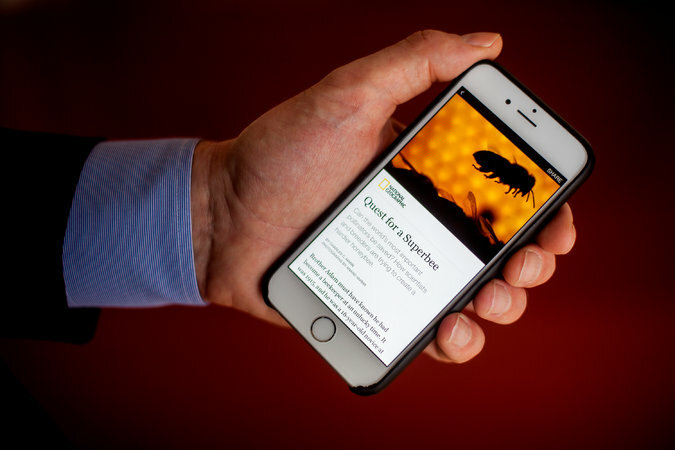 Here are the implications of Instant articles for Facebook, publishers, and mobile users. 1) Instant Articles is Facebook’s response to Discover: an advertising product that allows them to monetize external content by splitting ad revenue with content providers. There are already ads on Instant Articles. They’re just static banners, and fail to foster neither interaction nor engagement. Publishers aren’t happy about it. The Wall Street Journal has posited that Facebook will create a more enticing ad product for Instant Articles. Eventually, Facebook will create a new interactive ad format within the Instant Article, utilizing the touch and accelerometer like Instant Articles already do. This would be a very attractive way for Facebook to split ad revenue with publishers. Snapchat Discover is a similar monetization play. Snapchat repurposes content from media companies on their platform, inserts video ads in between the content, and takes a nice cut of the revenue. Instant Articles are more open than that (any content provider can apply to join the format) but is pretty much the same thing: Facebook is building an open Discover, while taking in handsome ad dollars for it. This scenario isn’t exactly apocalyptic for the media industry; it just shifts the dynamic of content and commerce. It still encourages external content, and allows publishers to get paid for their content, but it just means Facebook takes some of their advertising dollars. 2) Instant Articles, if they really catch on, could lead to a dystopian future where there are no longer websites and we access all media content through Facebook, which would be disastrous for media publishers. Even before Instant Articles, publishers like Vox and Quartz published video and text content exclusively to Facebook, and the content published directly to Facebook outperformed the content on their websites. Amazon had their most successful TV premiere by publishing the pilot of their show Catastrophe to their Facebook page. Now that Facebook has a shiny publishing format, what’s stopping publishers from putting all their content on Facebook, and abandoning their websites? As the folks at The Awl have already outlined, Facebook is on a quest to devour the internet. If they had it their way, all content would be published directly to Facebook, and no one would need to check other websites for entertainment and information. While fine for Facebook, it would be a huge defeat for the media industry. Facebook would stifle innovation and creativity by requiring all content to adhere to specific standards. This scenario is unlikely, but possible. The fact is, more and more content will start becoming exclusively published to Facebook, in a very attractive and inviting format, but content will still exist outside of Facebook. 3) Instant Articles will benefit users the most. It’ll encourage web developers to make mobile browsers and sites load content as fast as Instant Articles. This is happening already. After Instant Articles were unveiled, Google announced a new mobile webpage standard that results in faster load times. Also, Apple News ensures that mobile optimized content is directly pushed to your mobile device. Instant Articles aren’t the solution to the problem Facebook says they’re addressing: the sluggishness of the mobile web. Developers have to actually fix mobile web browsers, not create a workaround. Instant Articles is a Band-Aid, not surgery, which the mobile web actually needs. Facebook is disguising a content play as a solution to a problem that still exists outside Instant Articles. They’re only on Facebook’s iOS app at the moment, but will expand to Android soon, and eventually to desktop web browsers. Facebook built an incredibly powerful CMS, and it would be silly for publishers not to take advantage of it. I’ve already gotten way too used to Instant Articles and their incredible load times. A few days ago, I was on Twitter, clicked on an article, waited six seconds for it to load, closed the app, and went to Facebook to see if the same exact article was offered instantly.